Variety Cruises offers journeys for travellers who enjoy the casual ambience of a small group, whilst enjoying modern amenities to ensure you cruise in comfort. Cruising on a small ship, motoryacht or cruiser provides an onboard experience impossible to achieve a large cruise ship. For example, when cruising with Variety Cruises, you can expect to dock right in the heart of the port and disembark in a matter of minutes directly onto the wharf. Drop anchor in a secluded bay and swim off the back of the boat. Small ships mean cruise itineraries that are less rushed. Most nights are spent in port, so you'll get to enjoy one of the most delightful pastimes of the Mediterranean - strolling along the port to select a local taverna to enjoy a leisurely dinner while watching the world go by. 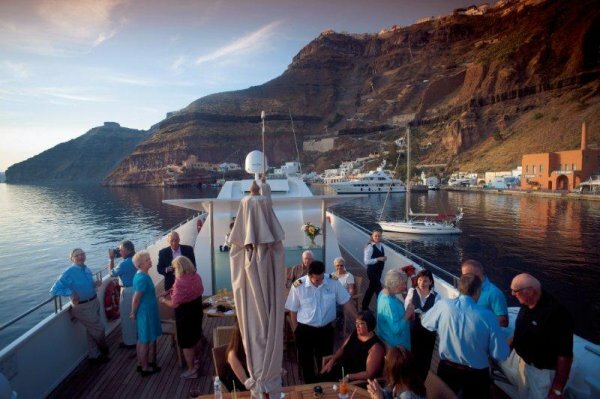 Having earned their reputation with their Greece and the Greek Islands programs, Variety Cruises has expanded their cruise range to include southern Turkey, Italy, the French Riviera and Corsica, Croatia & the Adriatic, Italy & Sicily, Cuba, West Africa, the United Arab Emirates and Oman and the Black Sea from Odessa and Istanbul. The itinerary may be reversed, amended or disrupted at the discretion of the Captain and Variety Cruises in case of adverse weather conditions. Port authorities do not permit vessels to leave port or sail into areas affected by winds of 6-7 Beaufort, depending on the size of the vessel. A private charter voyage with a Variety Cruises yacht or small ship is an exhilarating experience either it is for a special anniversary, a birthday party, a family reunion, a special interest cruise for friends or a cruise for passengers with the same love for arts, fine food and wines, architecture or history. Ships are regularly chartered by individuals/extended families, high profile companies or celebrities and non profit organizations. Our list of past and present clients speaks for the quality of our operations and of our ships. When you privately charter a Variety Cruises small ship, luxury yacht or sailing yacht, you own your ship for the period of the cruise, selecting itineraries, food concepts or excursions. 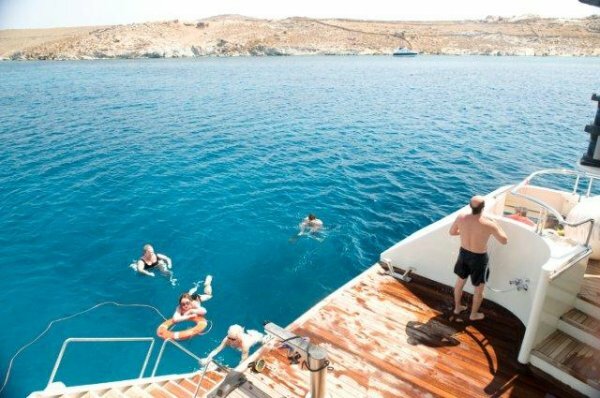 In consultation with Variety's Athens based Groups & Charters department, Handpicked Holidays will assist you to arrange aspect of your journey, from the itinerary and onboard activities to special dining requirements. Charterers often fly their company flag next to Variety's. Variety's ships are also perfect for small groups of 20 to 30 passengers organized by travel specialists or directly by non profit organizations, membership clubs. These groups join other fellow passengers on a scheduled cruise departure but can still organize their own private onboard or excursions program. 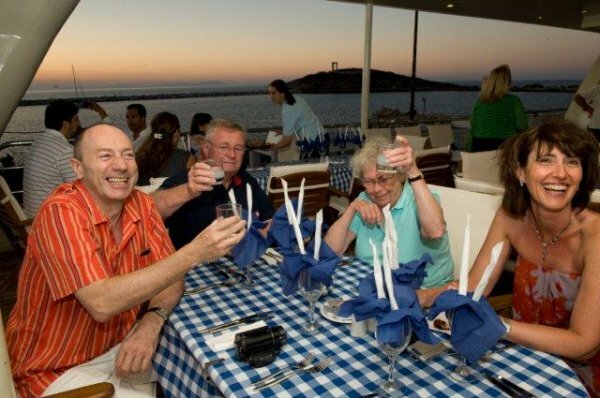 Handpicked Holidays has been associated with the Variety Cruises family since 1987 when they were known as Zeus Cruises. We've introduced Variety Cruises into the range of some of Australia's best-known wholesalers so truly know what we sell. We've cruised and inspected almost all of the Variety fleet so can give you and your clients personal recommendations. Over the years the company's range was totally upgraded and now features a wonderful fleet of motorised sailers and luxury cruisers, the jewel in the crown being the newly-launched Variety Voyager. Small ship cruising doesn't suit everybody and we won't hesitate to tell you so if we think this is the case for your clients. That's why we usually ask a lot of questions! Small ship cruising has its advantages as well as its limitations and usually this is due to the local conditions in which the cruises operate. There is no substitute for Handpicked Holidays 25+ years experience in Greece and intimate local knowledge. Handpicked Holidays combines cruise with small group tours, escorted tours and any other land arrangements including transfers, accommodation and sightseeing for pre/post cruise arrangements. 6. We Are the Variety Cruise Specialists! We have a real passion for small ship cruising and the knowledge and experience to back it up. Handpicked Holidays is a genuine destination specialist where every enquiry and reservation is handled with the practical advice and product knowledge gained from 25+ years product development experience with most of the best-known wholesalers in Australia & Greece.